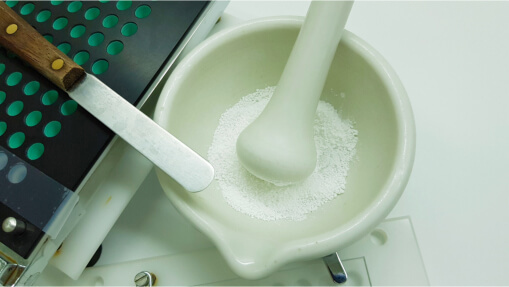 At Palms Pharmacy, we pride ourselves with being able to provide you with quality compounding services that are sure to give you the specialized medication you and your loved ones need. Feeling allergic to a certain component of a prescribed medicine? Not to worry, as we can create one containing only the drug that you need to get better. Not comfortable with the form of your medication? Trust our qualified and well-trained pharmacists to change the shape and form, or even add flavor to the medicine you require. We can even make specialized gels and creams suited to your needs. We offer a variety of medication packages for your safety and preference. Blister packaging, child-proof or tamper-proof containers are just a few of the specialized packages we have to offer. In addition to this, each package will have the proper labels for your safety and convenience. Allow us to help you stay on top of your medication with our prescription refill services. This way, you will no longer have to worry about forgetting to refill your prescribed medicines, as we remind you, or even automatically refill your prescription on or before the designated date. Worried about not being able to drive to our pharmacy to acquire the medication you need? Worry no more, as our delivery services will help get you your needed medication or supplies without even having to leave the house—allowing you more time to recuperate and get back to full health. With the quality of our products and services, you can be assured that Palms Pharmacy is not your typical pharmacy in Lake Worth, West Palm Beach. We value not only your health and recovery but also your convenience in acquiring the products or services you need. With a team of highly-capable professional and friendly pharmacists who will serve you with a ready smile, we ensure a pleasant and convenient pharmacy experience—one that you and your loved ones deserve. On top of it all, we offer our products and services at affordable prices, so that your journey to recovery and wellness will not be an expensive and difficult one. Trust us to truly help you achieve good health and wellness. Come visit us today, or talk to us at 561-513-9161 to know more about how our services can assist you and meet your needs. This entry was posted in Pharmacy and tagged Health, Medication, Prescribed Medicines, specialized packages. Bookmark the permalink.